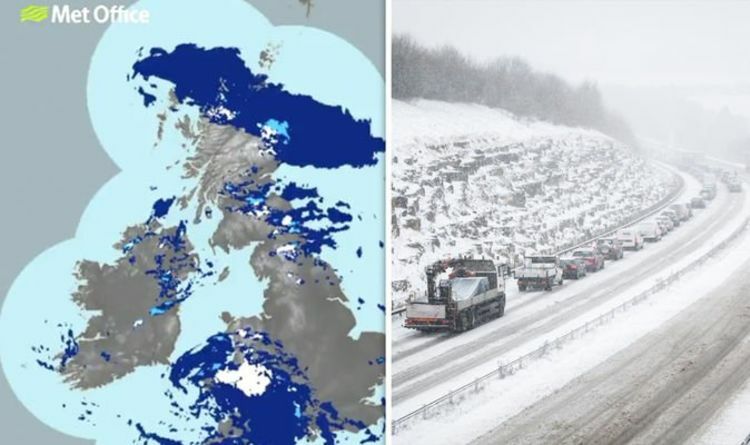 Home / غير مصنف / UK snow radar: Met Office warns of SNOW as temperatures plunge - will it snow near YOU? UK snow radar: Met Office warns of SNOW as temperatures plunge - will it snow near YOU? The Met Office has issued a yellow weather warning for snow in Wales and The West Midlands on Thursday (April 4.) Up to 6cm of snowfall and rain is forecast throughout Thursday morning. Snow is most likely to affect higher regions but could fall in parts as low as 200m. The freezing weather is likely to cause travel disruption in higher parts. The snow may cause train cancellations and slower journey times by road. The Met Office has advised those travelling in snow to take precautions and make sure their cars and bikes are prepared for the wintry conditions. In Wales 11 districts will be affected by snow. While in the West Midlands to areas are forecast to have snowfall. Snowfall is expected to last until Thursday afternoon and chilly temperatures will not rise above 4C. Bookmakers Ladbrokes have now slashed the odds on the UK seeing snow this month. With temperatures likely to drop, the bookies now make it just a 1/5 shot for any part of the UK to see snow this month. Yellow warnings are issued when it’s likely the weather will cause some low-level impacts, including some disruption to travel. They can also be issued when the weather could bring much more severe impacts on the majority of people, but the certainty of those impacts occurring is much lower.